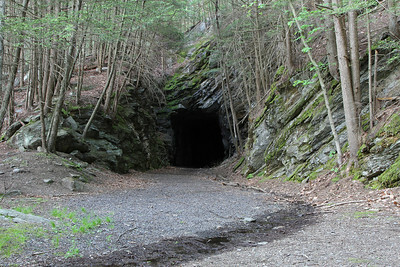 The Shepaug Valley Railroad was chartered in 1866 to build 32 miles from Litchfield to Hawleyville, Connecticut, where it would interchange with the Housatonic Railroad and Danbury & Norwalk for connections to New York City. The rural shortline began service in January 1872 and was bankrupt by the following year, reorganized as the Shepaug Railroad in 1873. 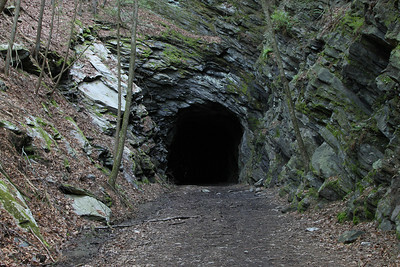 The Shepaug continued to struggle as one of the last independent shortlines in Connecticut and was reorganized again as the Shepaug, Litchfield & Northern in 1887. Finally, the New York, New Haven & Hartford leased and ultimately acquired the Shepaug by 1898. As the New Haven's Litchfield Branch, passenger service continued until the early 1930s and freight service until abandonment in 1948. 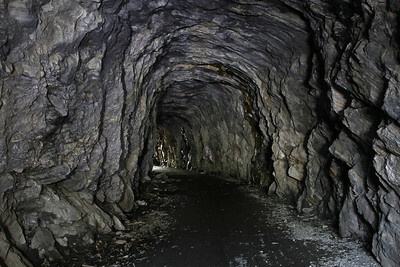 The windy rural route required 32 miles of track to cover a direct distance of just 23 miles. 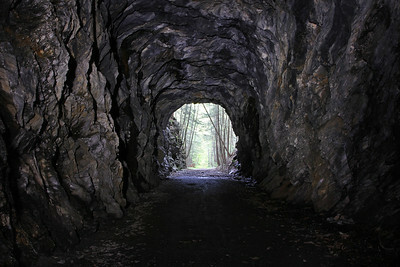 A single 238-foot curved tunnel was constructed in Washington. 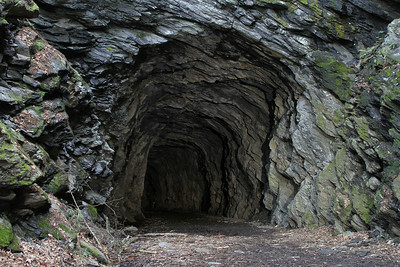 The unlined tunnel remains in excellent condition, now serving as a hiking trail in the Steep Rock Preserve.